On this page you can find media information and recent coverage of X5 Management. For more information or to book an interview with Mike Mack, Founder & President of X5, phone 780-718-6856 or email mike@x5management.com. EDMONTON, AB — Is your business the one everyone’s talking about? Does your company deliver the kind of Remarkable Service that keeps customers coming back – even when the competitor down the street is offering a similar product at a significant price reduction? Mike Mack, Author of Remarkable Service and President & CEO of X5 Management. 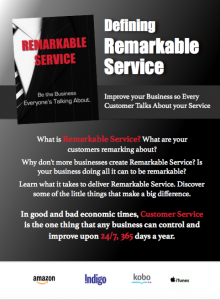 Mike Mack, author of the book Remarkable Customer Service, discusses his book and how it can help your business. It’s a tough time to be in business in Alberta. Plunging oil prices and widespread layoffs have taken their toll across the province, forcing countless entrepreneurs to shutter their doors. Companies that don’t deliver exceptional service face almost-certain economic peril – yet success is surprisingly within their grasp. Discover what it takes to deliver Remarkable Service in a new book of the same name by successful Edmonton businessman Mike Mack, founder of X5 Management. Mack wrote the book in the hopes of helping other corporate leaders realize that when times get tough, their best chance of survival rests with living up to their obligation to their customers. The book explores theories and practical realities behind being a Remarkable Service provider, including many anecdotes from his 30+ years helping other businesses improve their sales and service strategies. From the exceptional serving staff at his favourite restaurants to disastrous tour guides and unhelpful delivery workers, Mack offers compelling examples of what works and what doesn’t in the world of customer service. EDITORS NOTE: A professional speaker, Mike Mack would be pleased to share insights from his book as well as print- and camera-ready images, video and audio to media. Are you writing an article about doing business in our current economy? Mack can make himself available at short notice for media interviews. 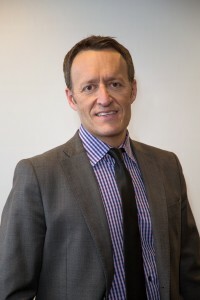 Mike is founder of X5 Management, an Edmonton-based company that specializes in Improving Sales & Service for business through Business Consulting, Coaching and Training & Professional Development courses/workshops. For more information on Remarkable Service, download our Media Kit below. Click image to download the Remarkable Service book Media Kit.